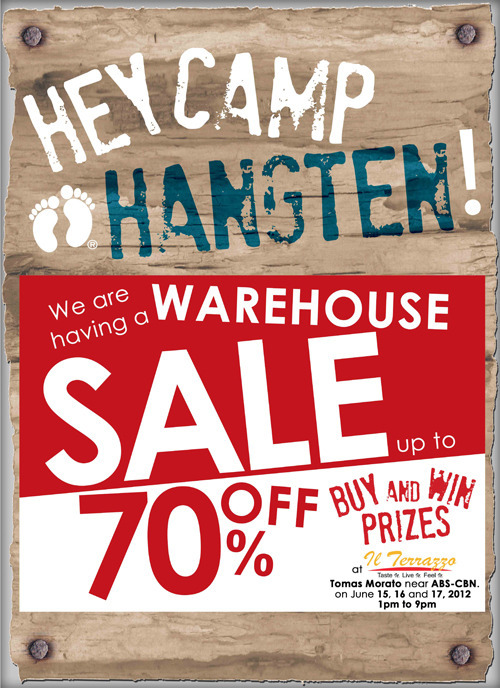 Camp Hangten warehouse Sale! - Hello! Welcome to my blog! 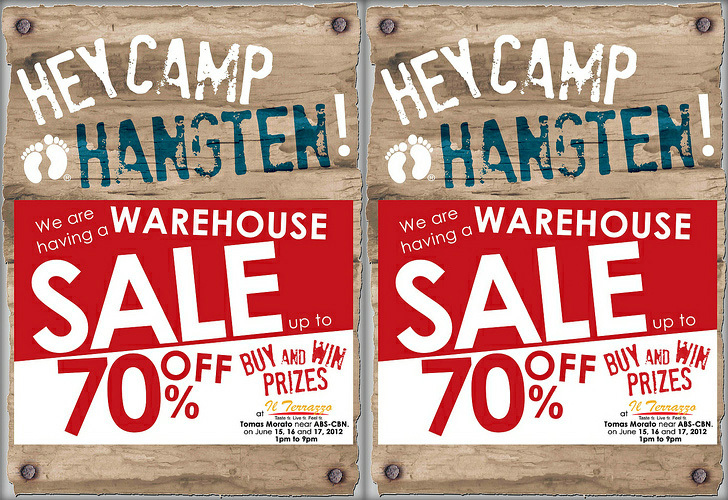 #CampHangTen is having a Camp Sale! with up to 70% OFF on items! You may also have a chance to win some really nice prizes! See you! it starts today June 15-17, 2012 (1-9pm) at Il Terrazo, Tomas Morato near ABS CBN. 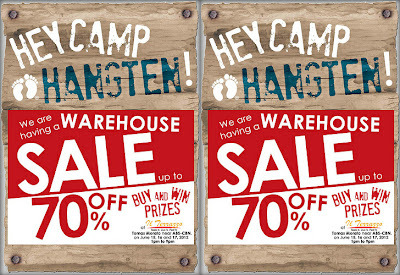 Follow HangTen on Twitter and like them on Facebook for more information. Here comes the Boom Trailer with Charice. Money Ball available on Blu-ray™, DVD and VCD. My Coca-Cola & Chowking Canisters!!! Sneak Peek at the Drama-Comedy "People Like Us"
FREE Uniqlo Tote Bag and Mochi Ice Cream!!! Decibel will bring out the Rockstar in you. Who's ready for TOYNCON 2012?? The Amazing Spider-Man - The untold stories. JanSport ends the Summer, Super Sized!!! HP's Print More, Save More and Get More Promo!